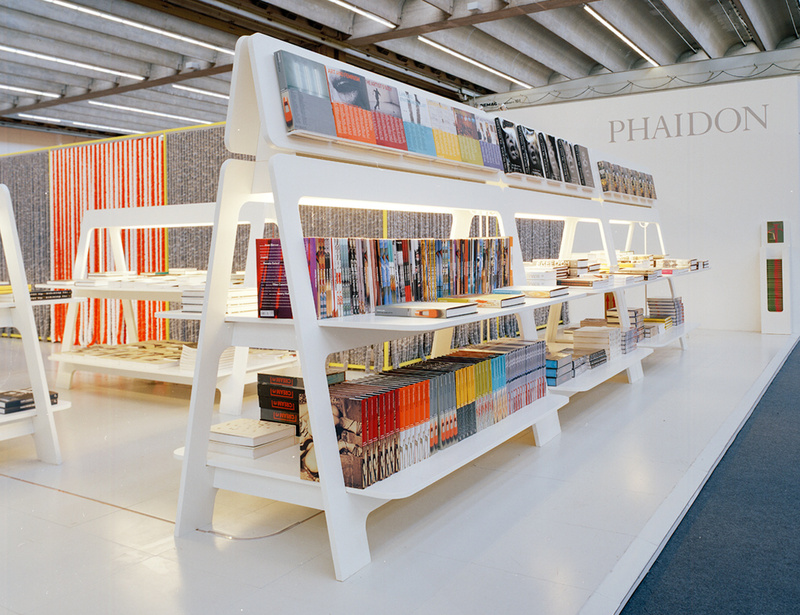 Phaidon Stand during the Frankfurt Book Fair in October. The stand is completely open, so that people can feel invited and welcome to look at the books. The space is white, just some grey and orange curtains that define the meeting rooms.